The future looks bright for Dortmund, with Pulisic, Dembele and Mor (l-r.) in their ranks. 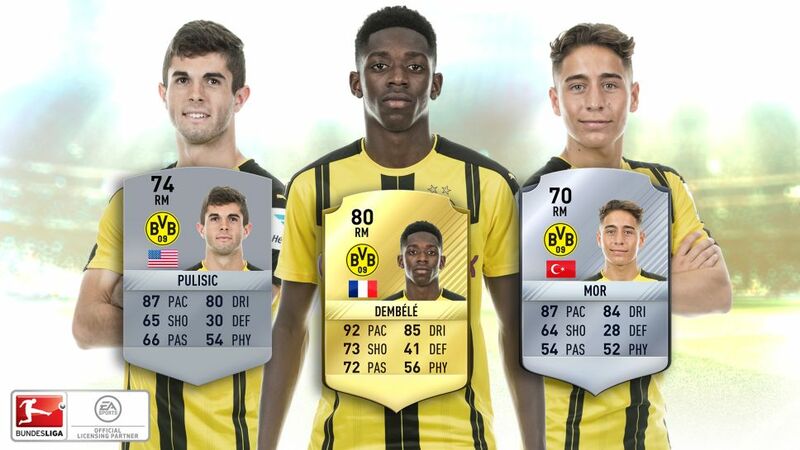 EA Sports’ Ratings Refresh campaign has come to an end and it’s brought some good news to a trio of Borussia Dortmund’s young starlets, who have had their ratings permanently updated in FUT 17. The attacking talents of Ousmane Dembele, Christian Pulisic and Emre Mor have all seen their ratings jump up thanks to their impressive performances in the Bundesliga. Tempted to upgrade your own Official Bundesliga Fantasy team with some of these Dortmund youngsters? Sign them up here!